Arlington National Cemetery is rapidly approaching the point where it won't have space for new burials, and could be full in 25 years at the current pace, the New York Times reports. The big picture: The cemetery is the most prominent of its kind in the country, and sees around 7,000 burials a year. But the Army, who runs Arlington, is considering only allowing those who were killed in action or awarded the Medal of Honor to be buried there. What's next: Per the Times, the Army is "conducting a survey of public opinion" regarding the issue through this summer, and is expected to officially recommend a solution this fall. “Memorial Day began as Decoration Day, as communities and families decorated the graves of fallen soldiers with flags and flowers. 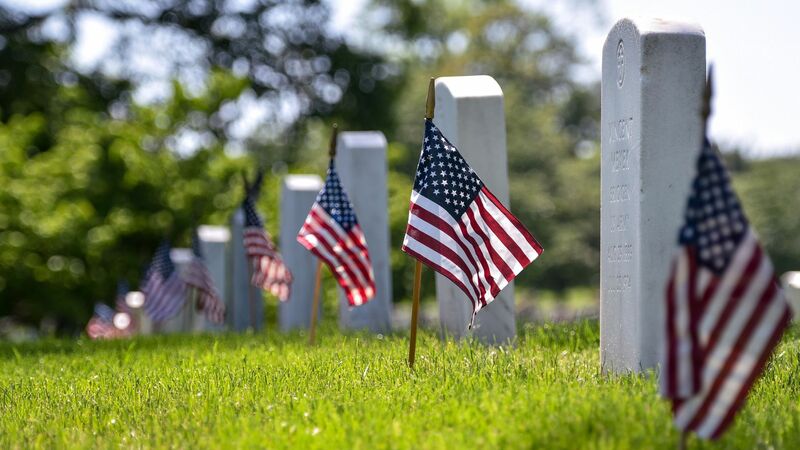 The tradition continues today across our land, with flags and flowers adorning patriot graves ... Their stories inspire our souls and give us all a renewed attachment to the noble country whose flag they wore in their final moments." Go deeper with the NYT: The photos by Damon Winter are worthy of your time.